Do you have visibility into your IT Assets? 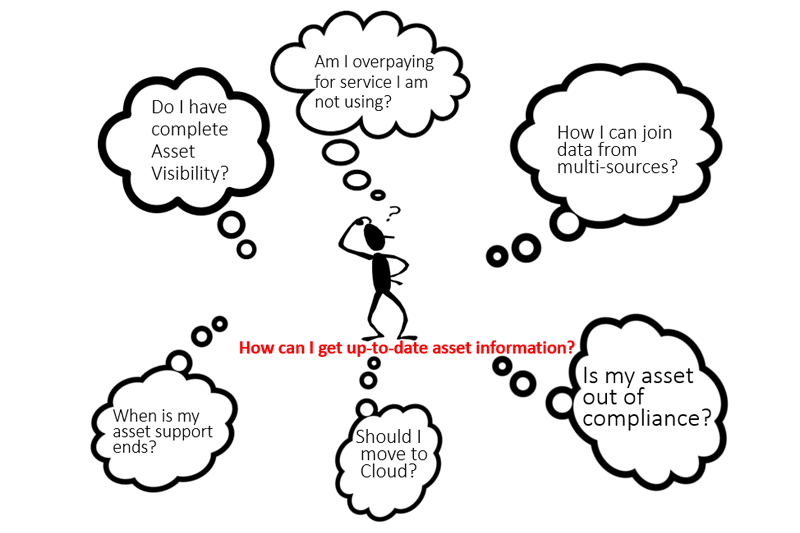 And Why is it difficult to keep track of IT assets information? Every enterprise must have access to up-to-date asset inventory and asset utilization reports, so that, it can optimize asset utilization, meet compliance requirements and control spend. There are many challenges along the way as it is not easy to keep up with constantly changing IT asset landscape. Let us look at some of these challenges. Complete visibility – The asset information is typically maintained in many places – excel spreadsheets, databases, ERP systems, CRM Systems, SaaS based products to name a few. IT teams need lot of resources to pull data from all these systems and compile it into an end user (IT and business) consumable format. As IT assets licensing, maintenance, life cycle status changes constantly, data becomes stale and the business might not have have full visibility when it needs. Multi-Vendor Systems – Hardware, Software and Cloud assets are provided by multiple vendors with many ways to specify asset life cycle information, model numbers, serial numbers etc. The support model also varies from vendor to vendor and this makes it difficult to collect right set of data necessary to keep track of ‘End of Life’, or ‘End of Support’ risks for all these different types of assets. Utilization Levels – Knowing how best an IT asset is being utilized is important in making right IT asset procurement or maintenance decisions. As business expand, they end up with many types of assets, service models, multiple vendors and usage patterns. The business demand goes up, IT asset utilization goes up and to meet the demand subscription levels are increased. When the demand goes down or when a project goes on stand-by, the subscription levels are usually overlooked . This raises subscription costs. Organization Silos – In any large enterprise, many IT assets are managed by local IT teams. This creates another challenge in managing assets including collecting their utilization information. Multi-structured Data – Asset information is typically stored and managed in various formats such as spreadsheets, databases, ERP, CRM, cloud systems, etc. As the data is stored in different formats and some of the information resides in unstructured systems, it is not easy to gather and parse the information into useable format. Different models of consumption – As cloud is making pay for use model a reality, most of the organizations are moving their IT asset licenses from perpetual to subscription-based models. It becomes a challenge as traditional IT assets and cloud-based assets need to be tracked in different ways and data compiled to get meaningful insights. Constant change in IT landscape – IT landscape always changes and with constant changes in IT assets, it is difficult to keep a tab on both life cycle and utilization. It is critical to know when an asset will be reaching EOS, EOL, end of support so that regulatory /compliance risks can be mitigated, and asset spend can be optimized for maintainability, support contracts, and for replacement. An IT Asset management solution should address the above challenges and should provide you with an up-to-date asset information from all possible service models including cloud. It should provide up-to-date asset utilization so that the IT and business can make right decisions at the right time. 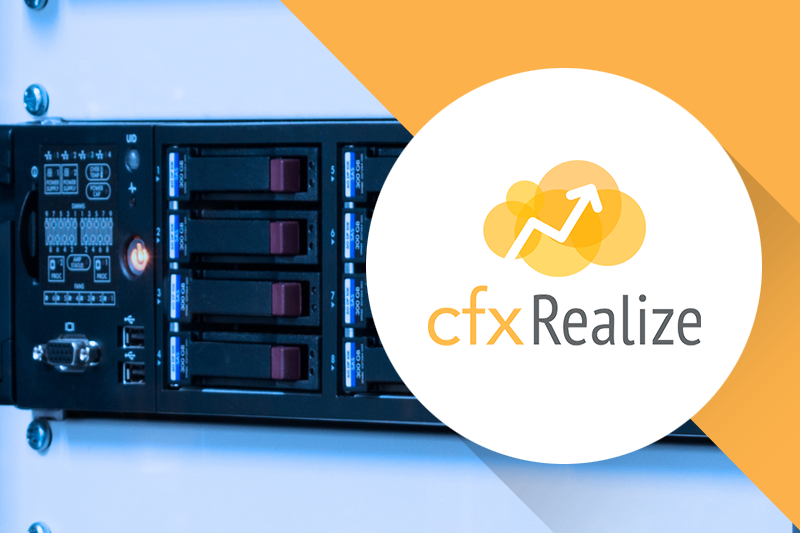 Cloudfabrix’s cfxRealize, provides continuous visibility and actionable intelligence to optimize hardware and software assets usage and IT spend with over 100+ data set integration connections available. More information on the product can be obtained at http://cloudfabrix.com/product/cfxrealize/. 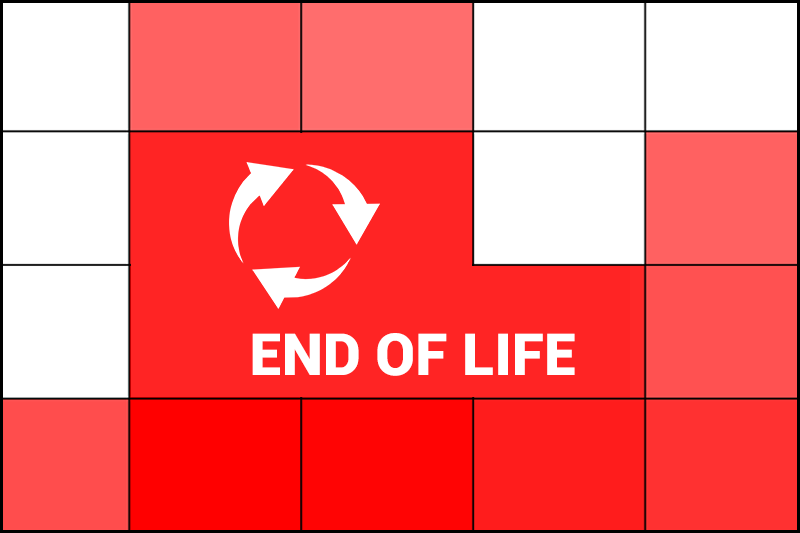 How do you keep track of End of Life / End of Support of your assets?